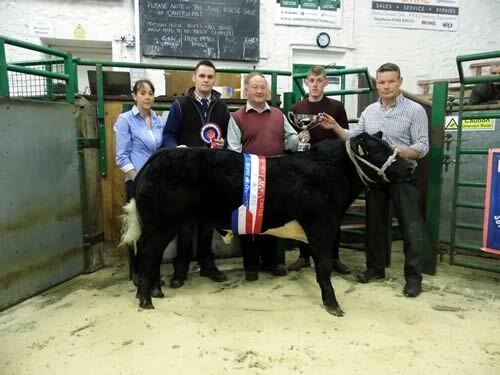 Harrison & Hetherington Ltd, Kirkby Stephen Mart held their annual "May Day" Prize show and sale of Store cattle when 1272 head were on offer. The pre sale show was carried out ably by Mr N. Leighton, Goole who awarded the Overall Championship to a smart 7 month old British Blue cross heifer which was Sired by Tweeddale Ironman and was consigned by Messrs Tiplady, Red House Farm, Barnard Castle. She went on to sell for £1300 to Mr Leighton. Steers averaged £1080.85, heifers averaged £982.92, over half the cattle forward sold between £1100 - £1500.